Humphrey 1542200 Rev. C Manifold Assembly w/ 7 Solenoid Valves Ventana Discovery . New Life Scientific, Inc. 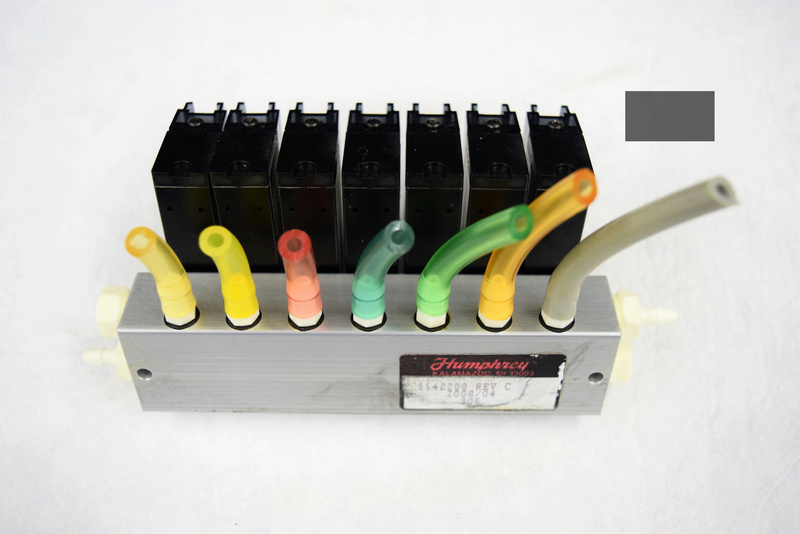 This Humphrey manifold was removed from a Ventana Discovery XT Automated Slide Stainer that is shown in the pictures for reference only. The manifold is untested by New Life Scientific technicians as it was removed from a working environment. As always the buyer is protected with a money-back guarantee in case of malfunction. The manifold was confirmed to have been used in a working environment and shows minimal signs of wear and use.